Religion comes in many forms, and to those outside a particular sect, practices held dear might seem alien and even objectionable. There are a number of mainstream groups in the United States, with subsets and variations among them, and then there are those which are dismissed as archaic and outdated, as well as potentially dangerous. Telling stories set within these communities often exposes traditions and rules that seem horrific when looked at plainly, and it takes a dedication to truly represent humanity to be able to show a set of people as they are without expressly casting them out as (pardon the pun) demonic. 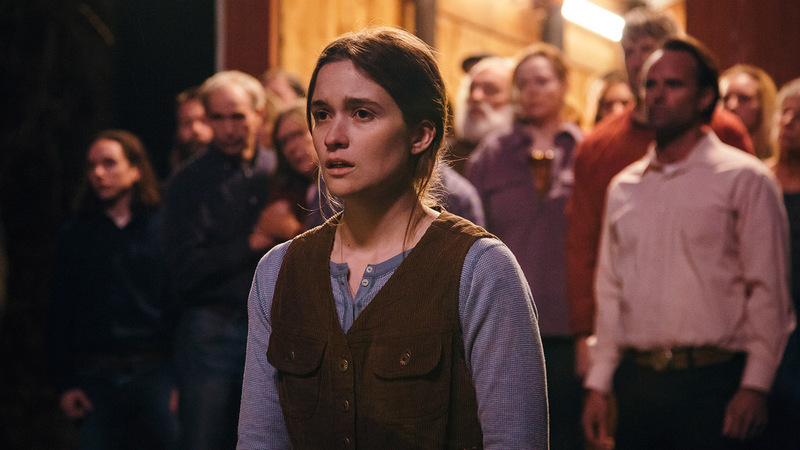 In the south, Mara (Alice Englert) lives as a member of a Pentecostal church run by her father, Pastor Lemuel (Walton Goggins). 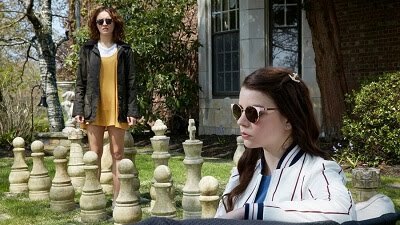 Mara is to be betrothed to Garret (Lewis Pullman), a devout follower of her father’s, but she loves Augie (Thomas Mann), whose baby she learns she is carrying. When Augie’s mother, Hope (Olivia Colman), another adherent to the church, discovers what has happened between her son and Mara, she presses Augie to repent, which brings the non-believer back to church for the first time in many years, set to prove his faith by facing one of the church’s signature snakes. Co-director Dan Madison Savage describes this film as a love story both between Mara and Augie and between a community and their God. It is posited as non-judgmental, seeking to honor the dignity of a faith practice not accepted within mainstream Christianity. Audience members visibly reeled and cowered at the sight of snakes crawling all over congregants and other moments in the film, including the way that Lemuel, who was widowed years earlier, treats the women within his church. Yet it’s all presented in a straightforward and honest way, inviting these characters to share the truths that those like them live. Englert delivers a superb lead performance as a woman convinced of what she believes but unable to rationalize the hurt she sees as coming from it. This is a role Goggins was born to play, and he does so expertly, along with his former “Justified” costar Kaitlyn Dever, who portrays Mara’s friend Dilly. This is an interesting follow-up for “The Favourite” Oscar nominee Colman, whose Hope does stick to her convictions and values loyalty to God above all else. This film is at times unsettling but is consistently engrossing, showcasing a movement on the fringe that, to its devotees, is the most normative thing of all.